Fall has arrived in Montana. Where will you be heading this month? This shot was taken on my way up the Seeley-Swan Valley a couple year’s back. 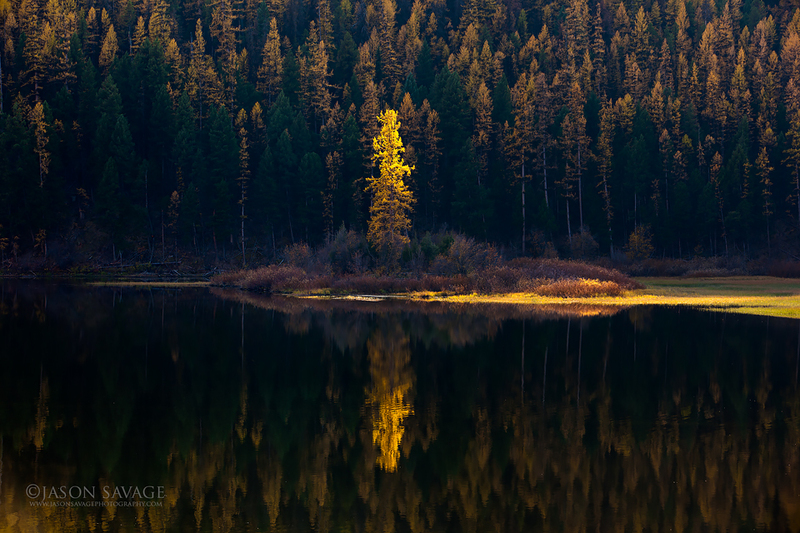 The lone larch separated from shore was illuminated by late evening light being filtered through the clouds. With the passing clouds, I was patient and waited until just the right moment when they shaded the background and lit up the larch, providing a much more dramatic shot and isolating the tree.